According to current Social Media reports, social networks along with blogs are now reaching critical mass numbers of active Internet users from various backgrounds. 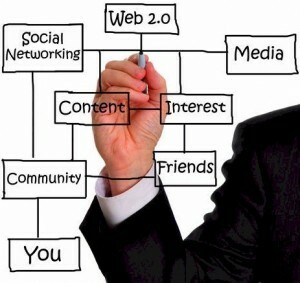 Social media has now become the most prominent medium for getting valid “up-to-date” information for most users. It’s an important avenue for those who decide to share their daily activities and life stories as well. There’s also now an increasingly number of businesses along with prominent enterprises who are now using the various social media methods to share their brand or product message. Since social media is still considered a relatively new method of marketing, online along with offline businesses are now discovering the intricacies of how to make a deeper, crisper, and a more personal connection with their customers using these platforms. What may be more important is they knowing how their potential customers are receiving these methods. What you need to do is precisely explain exactly to the masses what your business does. You should also be able to explain what you do without making it sound like a sales pitch, or making it into a full fledged TV commercial. For instance, you could feature your clients or customers testimonials into a blog post and then share exactly how you’ve helped them, along with the experiences that they had with your company. You could also feature some of your employees in your blog posts as well, to show their involvement in your business. If you’ve spent anytime on social media recently, a popular buzzword that you will come across is “engagement” when it comes to marketing. Engagement has become overused to the point that it’s lost some of its meaning. The reason for this is because it remains as the top activity that businesses are doing to be successful in social media. Engaging with your clients is vitally important when building relationships. This is important whether it’s on a personal or a business level. When using social media, it allows businesses to become a lot more personal and transparent. This way, potential customers are able to know a lot more regarding the individuals who are behind a company or a brand. The story, message or “Mission Statement” that you’d like to share with your readers is important. You won’t be able to build any type of a relationship with your potential customers unless there’s two-way communication. So when you engage using social media, it can include responding to all of your blog comments or complaints, visiting other like minded blogs and then making relevant comments. You can also have “conversations” with others on Facebook or Twitter by retweeting posts by people that you follow. Engaging with others means that you’re directly interacting with them on a personal level as well as getting to know them and who they are, what they do and like. You invite all of your customers to share their feedback, regardless if it’s good or bad, which then instills trust. When engaging with others using social media, make sure that you completely explain what your company does by building a “peer-to-peer” level of trust and offering exceptional service. You can then create loyal customers who are enthusiastic regarding your product, service or brand. This is where you’ll begin to develop customers who’ll start doing the marketing for you, by putting out a good work or favorable reviews. You’ll still need to effectively broadcast your message statement, but since your customers like your company, they’ll willingly “Like” or follow you as well as “Share” your message with all of their own followers, friends or blog subscribers. So it’s your choice, spend countless amounts of money on TV ads or magazine campaigns or just spend the time to properly broadcast your message to the same amount of focused people using social media. Combining all of the above along with providing exceptional customer service will result in creating loyal fans to your blog, your twitter account or your Facebook Page, by they sharing with their friends on how great your company is. Keep in mind that these social media methods are just a stepping stone which creates awareness and trust while building enthusiasm for your business brand. As indicated, you’ll still need to offer exceptional customer service, or nothing else matters.